This boutique hospital is located on Yaowarat Road in the center of Bangkok’s China Town area. 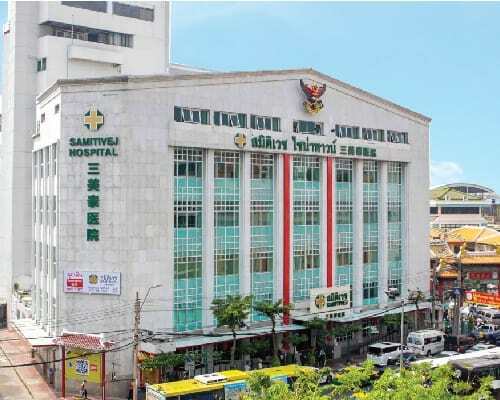 Part of the Samitivej Group and operating under the management of Bangkok Dusit Medical Services PCL, Samitivej China Town Hospital provides premium healthcare services for people in China Town and the surrounding areas. 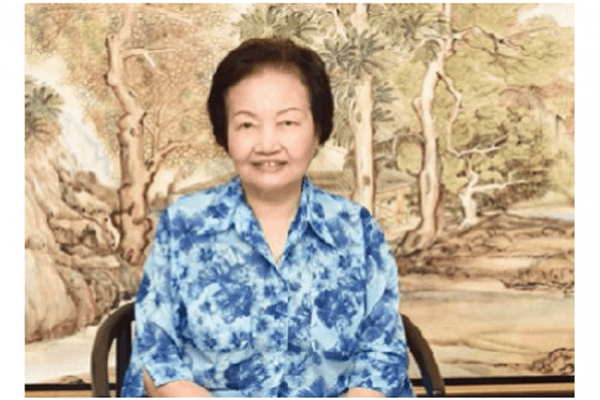 With our Chinese-speaking staff and medical teams, we also serve Chinese nationals. Samitivej China Town Hospital offers a complete range of medical services for both local and international patients. Provided by a multidisciplinary team of specialists, nurses and medical professionals working with state-of-the-art technology to international medical standards, all of our services are delivered with Thai service excellence to achieve the highest level of customer satisfaction. 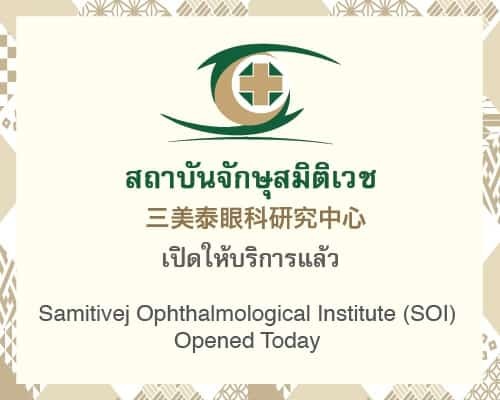 Samitivej Ophthalmological Institute (SOI) at Samitivej Chinatown Hospital offers international standard care with JCI accreditation. The Center is operated by internationally renowned doctors backed by skilled nurses providing ophthalmological care. The services include eye examinations, glaucoma and cataract treatments, retinal disorders and sight surgery. The Samitivej Smart Joint Center is specialized in bone and joint health. 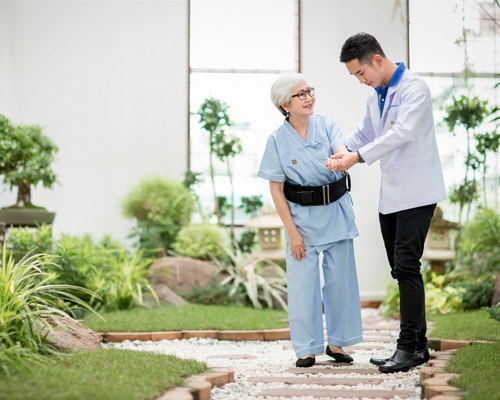 Our highly skilled doctors who have been recognized are ready to provide osteoarthritis and osteoarthritis of hip joint patients with comprehensive care. We also provide the best experiences of joint replacement surgery. 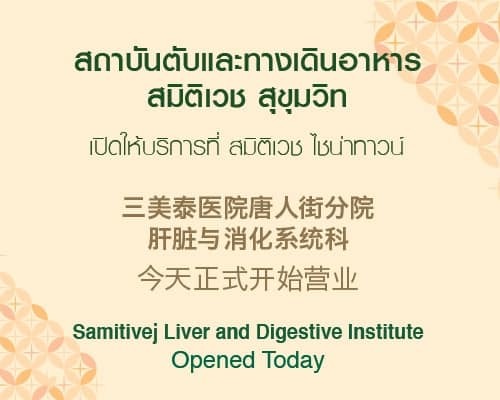 Samitivej Liver and Digestive Institute specializes in digestive and liver. We offer international standard care with JCI accreditation with internationally renowned doctors and global medical technology. Our features are gastroscopy and colonoscopy with treatments of colon cancer. Samitivej Esthetics Institute strives to keep everyone in healthy skin. We help everyone eliminates skin problems. Our highly skilled doctors specialize in highly techniques. We also have the most advanced technology to restore youthfulness to your skin. You’ll be a new one again.